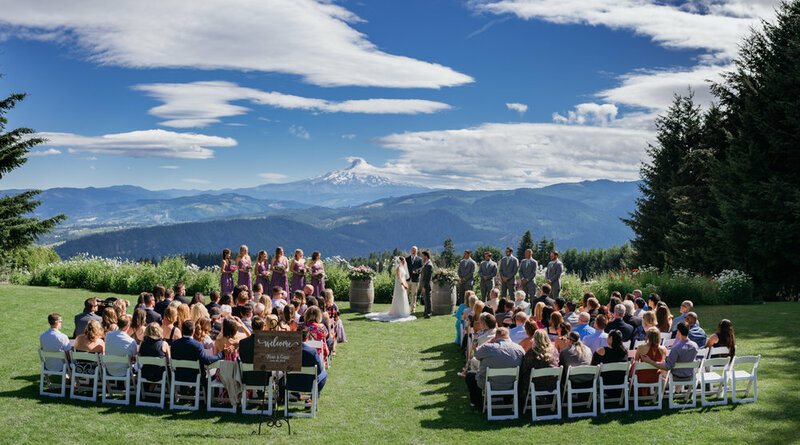 "The second we pulled up to the Gorge Crest Vineyard, we knew it was where we would have our wedding. This venue literally takes my breath away. 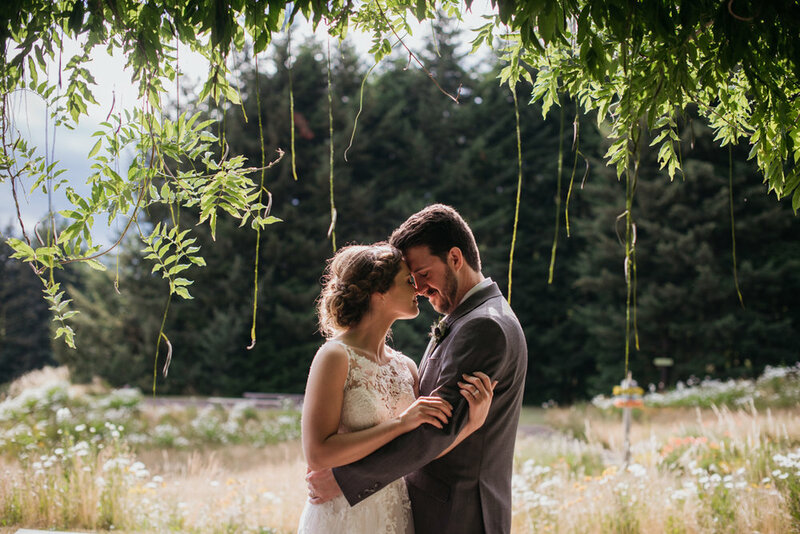 The views are stunning, the grounds are impeccable, and the indoor reception area is elegantly rustic. We had the most amazing wedding and our guests could not stop talking about how it was the most beautiful venue they had ever been to. The views truly cannot be beat. Some of our favorite features of this venue include the outdoor dance floor, so you can enjoy the views while dancing, the twinkle lights with hammocks hidden in the forrest surrounding the venue, and the bridal suite upstairs which is beautifully decorated and well- equipped with wedding day emergency kits =p We truly loved everything about this venue and would recommend it to anyone looking to get married in the gorge. We would choose it 100 times over :) "